you can take advantage of these awesome perks! 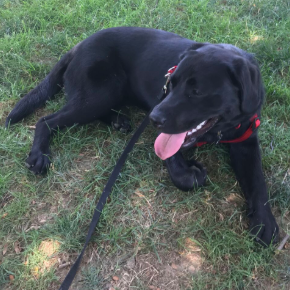 Sometimes you need more advice than a quick follow-up email can provide - you want to show Naomi the behavior your pet is working on and connect in real time to discuss your training. As a Praiseworthy Alum, you get access to in-depth follow ups via video chat! Let Naomi know you want a virtual session! Your pet's behavior might need a little more tweaking, or you want to work on another skill. As a Praiseworthy Alum, you get $50 off the total cost of each subsequent training program you purchase! Talk to Naomi about your next package! Continue your dog's training with customized mid-week outings. Your pup will hang out 1-on-1 with Naomi in dog-friendly places around town to work on key skills while getting exercise and enrichment. For dog-friendly alums, semi-private outings are also an option. As a Praiseworthy Alum, you get exclusive access to this valuable program! Book your pup's Alum Adventure!